Who can resist a character named Thumps Dreadfulwater? He’s the Cherokee ex-cop-turned-nature-photographer in Thomas King’s stellar series set in Chinook, Mont., near the Canadian border. That’s appropriate because King is a Canadian, best known for his book The Inconvenient Indian, a winner of the Governor-General’s Award and a member of the Order of Canada. Cold Skies (HarperCollins, 450 pages, $22.99 paperback) is the third book in the Dreadfulwater series and many of characters carry from book to book giving a witty and gently mocking continuity. The plot is rock solid, too, making this the best of the Dreadfulwater books so far. The story begins with two dead bodies and the sheriff needing two weeks off. He wants Thumps to take over his job temporarily. Thumps says no, but things keep piquing his interest, such as the fabulously rich Texan who seems to know an awful lot about art. Thumps is also not quite himself, physically. All this plays out in small-town gossip and King’s terrific funny dialogue. Make no mistake, though, murder is real and the plot, based on water rights, is as up-to-date as this morning’s news. The Dante Chamber is the latest literary mystery from Matthew Pearl and it revisits his first, the Boston-based The Dante Club. 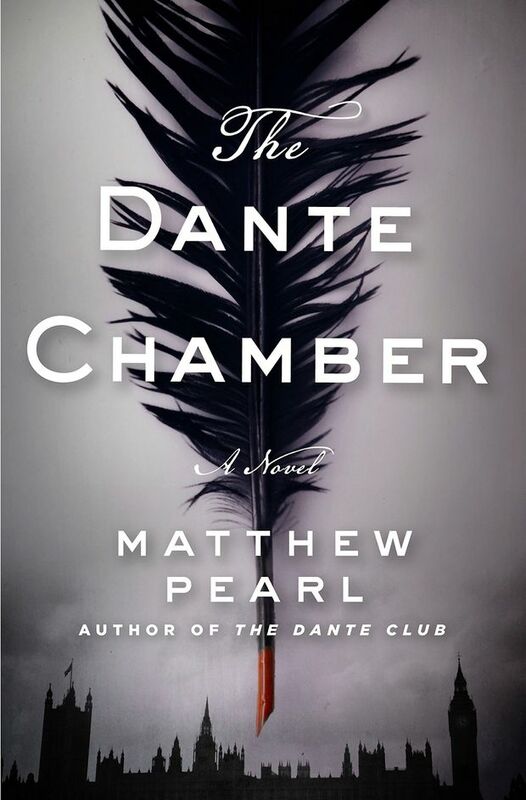 From the very modern to the fascinating past, The Dante Chamber (Penguin, 357 pages, $37) is the latest literary mystery from Matthew Pearl and it revisits his first, the Boston-based The Dante Club. This new novel is set in London, in 1870, five years after the Boston murders. But the similarities are unmistakable. A man is dead, in a London public park with a large stone hanging on a rope round his neck. Inscribed on the stone is a phrase from the Purgatory section of Dante’s Divine Comedy. Before the police can begin investigating, another body surfaces and then another. Each death is gruesome and replicates a torture in the hell portion of Purgatory. The poet Christina Rossetti fears her brother, the poet Dante Rossetti, may be implicated in some way. She enlists the poets Robert Browning and Alfred Tennyson as well as Dr. Oliver Wendell Holmes. They must decipher the poetry that will solve the murders, but Dante Rossetti is missing. Will they uncover the plot in time? If you read any Dan Brown at all, read this. Pearl is many times the superior writer and his literary legerdemain is flawless. 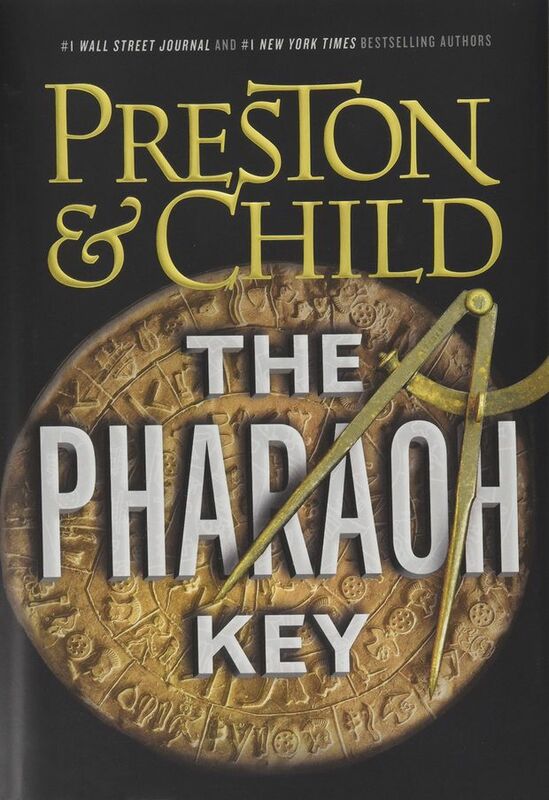 For those who really want to get far away, as escape novels go, it’s difficult to beat The Pharaoh Key (Grand Central, 320 pages, $36.50) by Douglas Preston and Lincoln Child. Their series' hero, the brilliant scientist-thief Gideon Crew, is shocked to discover his mentor/employer has disappeared, his business Effective Engineering Solutions is shuttered. It doesn’t matter to Gideon, because he’s just been told he has two to three months to live. He has enough money to last, a place in the country to spend his final weeks fishing. But there’s one clue to the mystery of EES; former co-worker Manuel Garza was working on a case and he wants to finish it. There’ll be plenty of money for him and, for Gideon, it’s one last adventure. Of course they team up and head to a place unmapped in the Sahara and there’s plenty of action and arcane Egyptian clues to last a weekend. The Death Of Mrs. Westaway (Simon & Schuster, 369 pages, $24.95 paper) by Ruth Ware is easily the hottest suspense novel of the past few months. Mrs. Westaway has died and she’s left a sizable estate to her granddaughter Harriet, known as Hal. It’s in the nick of time, too. Hal is barely surviving as a Tarot card reader at a seaside pier in Brighton. She’s also deeply in debt to a local loan shark who knows exactly where she lives. The trouble is, she knows her grandmother to be long dead, so the lawyers must have made a mistake. But she’s desperate and isn’t it time she had a break? So she travels to Cornwall to Mrs. Westaway’s funeral and there she finds things are far more complicated than she ever imagined. This is a lovely getaway book and perfect if you’re flying. 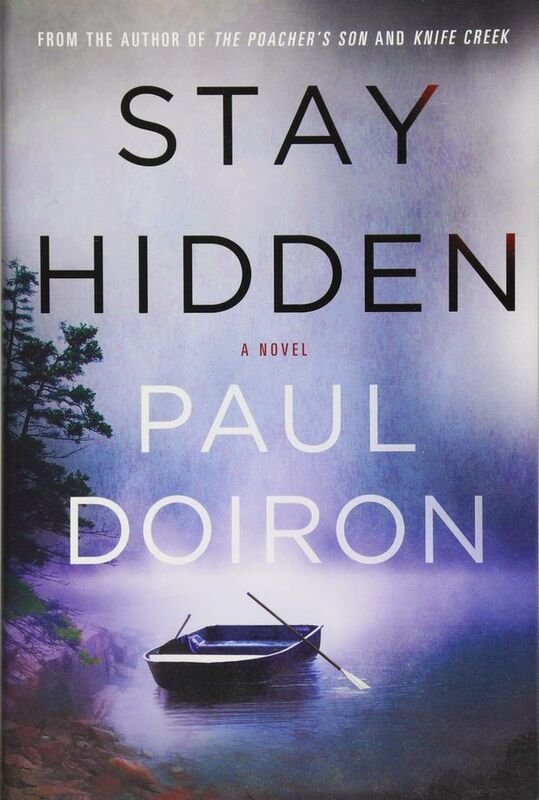 Stay Hidden (Minotaur, 352 pages, $34.99) by Paul Doiron is the ninth in the terrific Mike Bowditch series set in rural Maine. Doiron is a master at letting the landscape build the story and this one, set on a remote coastal island is one of his best. Ariel Evans is an award-winning journalist who rented a cottage on Maquoit Island for the fall months. Nothing is open and the locals, who survive on hunting and lobster fishing, are hunkering down for winter. When Evans is shot in her backyard, it looks like a hunting accident and that’s the purview of game warden Mike Bowditch who flies in just ahead of a three-day blowdown. It all looks like someone mistook Evans for one of the starving local deer. But Bowditch isn’t convinced and until he is, it’s an open investigation. Doiron builds suspense and has more than one twist before the story ends. Read this and, if you haven’t already discovered this series, you’re going to want the other eight. Last and certainly not least, we have The Glass Room (Minotaur, 375 pages, US$17.99 paper) by Ann Cleeves. It was first published in 2012 but is only available now for the first time in North America. This installment of the Vera Stanhope books is not the best of the long line, but it’s still a fine quick weekend book with the marvellous Vera and all the wonderful Northumbrian landscape to build the plot. This time out, Vera is dragged into a case when her neighbour asks her to find his wife. The woman has only been gone a couple of days and it takes Vera no time at all to track her down, but when she turns up at a rather posh writers’ retreat accused of murder, it’s all a bit too convenient plotwise. Still, Cleeves does a lot with a little and her insider peek at the world of wannabe writers and those who are paid to assist them has the ring of truth. Still, the Vera series is tiring. Too bad. Editor’s note: Editor's note: (Sept. 13, 2018) The Glass Room by Ann Cleeves is not the latest in the series, but rather the latest one to be published in North America.